On behalf of admin of JML Law, A Professional Law Corporation posted in Bicycle Accident on Thursday, Oct 19 2017. “None,” you may think. Many tend to be under the illusion that just because an average bike doesn’t cost more than $500, a cyclist has no rights whatsoever in an accident against costly $30,000+ cars in the U.S. But that’s just plain wrong. 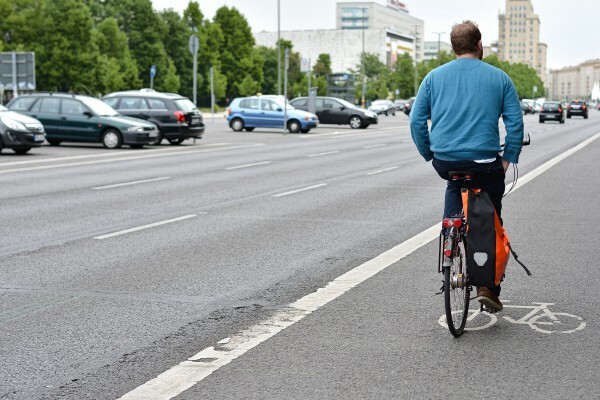 Before you hit the roads of Los Angeles on your bicycle, it’s important to get familiar with your rights as a cyclist in a bicycle accident. Unsurprisingly, a bike accident can be much more life-threatening to the cyclist than to the motorist. That’s why it’s vital to know your rights. After all, you’re sharing the road with people that operate the deadliest weapon of the 21st century — cars. Fun fact: knowing your rights as a cyclist in an accident can not only help you avoid a bike accident, but also resolve an accident quickly and in your best interests without taking further legal actions. While state laws in Los Angeles and in almost all other states protect your rights as a cyclist, insurance companies are almost never interested in resolving car accidents in your best interests. Prior to reporting a bicycle accident to an insurance company, collect all necessary documents such as the police report, eyewitness accounts and other evidence that prove the other party’s liability. It’s recommended to avoid communicating with an insurance company on your own if you don’t have a law degree. Seek help from an experienced bike accident attorney to protect your rights and resolve any road accident in your best interests. You’re entitled to compensation for your medical expenses in a bike accident. While medical bills are the primary compensation, you can also consult our attorney to help you obtain compensation for lost wages and other damages. Call our Los Angeles offices at 818-610-8800 today to get a free initial compensation. Our experienced lawyer will make sure that all of your injuries, including psychological trauma and suffering, as well as therapy and recovery are properly documented. An insurance company may deny your compensation if you provide incorrect or incomplete information about your injuries. You’re entitled to let an experienced bike accident attorney to speak with your insurance company on your behalf. Your words during negotiations with insurance companies can get twisted and be used against you, resulting in partial or complete coverage denial. It’s not recommended to negotiate with a reckless or aggressive driver unless you have no choice. It’s best to leave the uncomfortable conversation to a well-versed attorney who would communicate with all parties involved in the accident in your best interests. Some victims of bike accidents tend to accept initial settlement offers from drivers and their insurance companies. The problem is that these settlement offers are usually low and don’t assess all of the damages. If you want to know all of your rights as a cyclist in an accident, don’t hesitate to contact JML Law today. We have handled thousands of cases like yours for the past 35 years. We know the drill. Let us start investigating your particular case by calling our Los Angeles offices at 818-610-8800 or sending us an email.